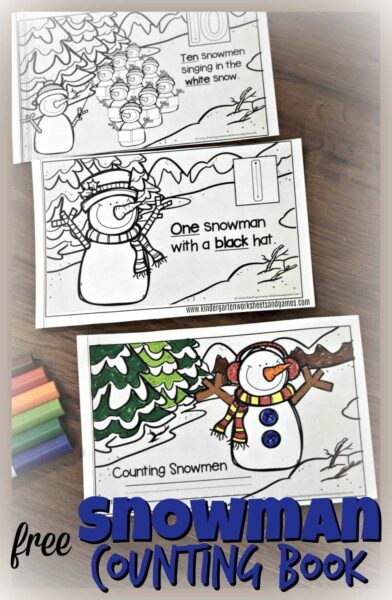 Do your kids like building snowmen? 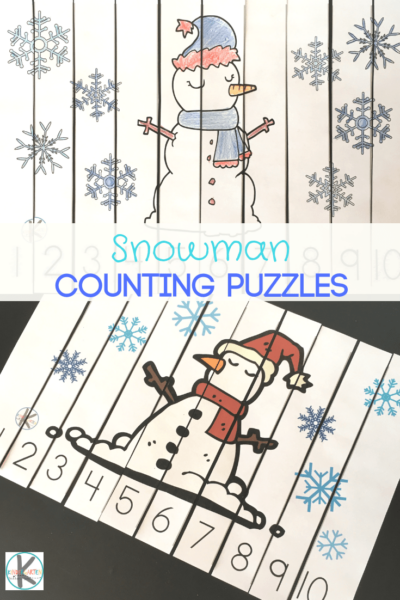 On days that are perhaps just too cold to go outside, bring the snowman fun inside with snowman puzzles! Is it a coloring page? Is is a puzzle? Is it a counting activity? Yes to all the above! 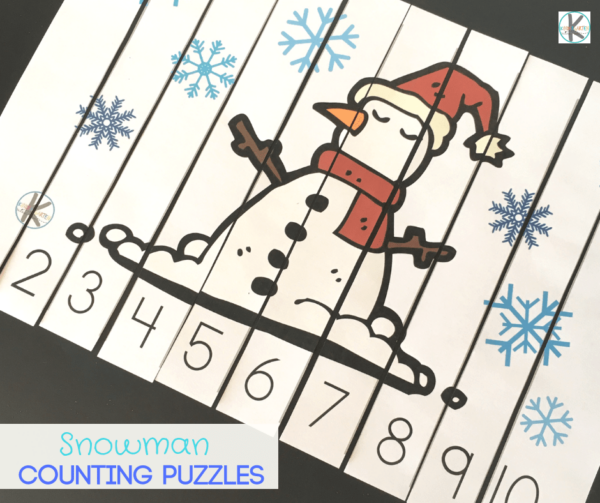 These counting puzzles are perfect for young children to order numbers from 1 to 10 in a fun way and perhaps color their own puzzles for counting! 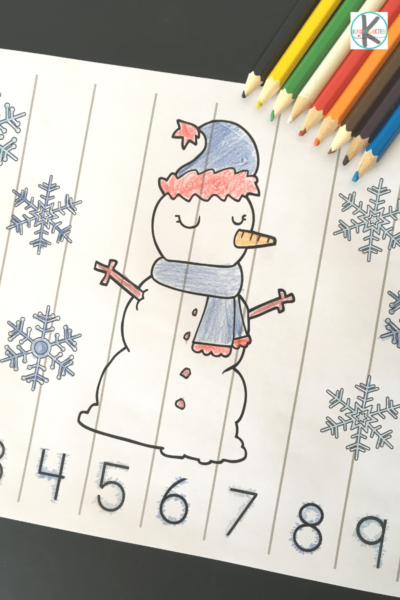 There is a colored version or a color-it-yourself one from numbers 1 to 10. Which puzzle would your child prefer? Whichever one(or both) you choose to use, it is so fun for learning! 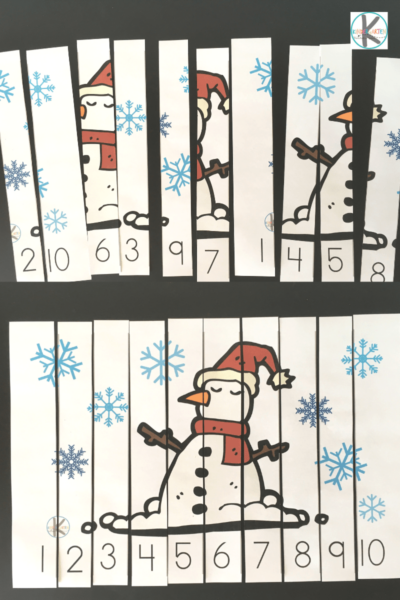 Print the free puzzles and laminate or, glue to thick card board to reinforce before cutting on the lines. 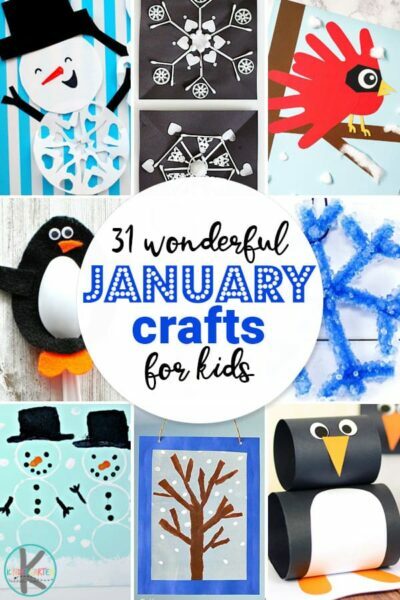 If kids are around let them help- it can be great cutting practice for them too! 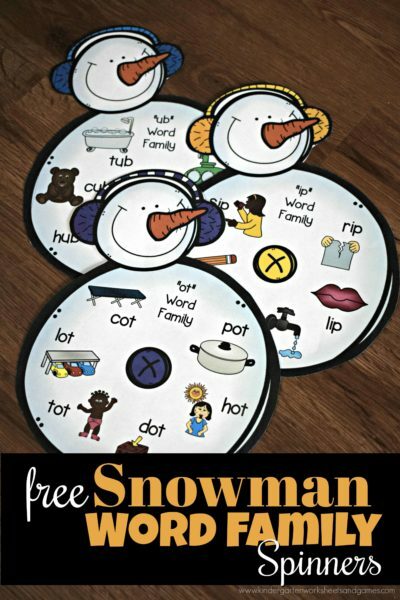 Another option: If you do have A4 magnet sheets, stick the printable onto that for a large magnetic puzzle on the fridge or a cookie sheet. Some kids might prefer making their own puzzle so use the black and white version. Involving children in the making of the puzzles let them take ownership and make them proud of what they have achieved. 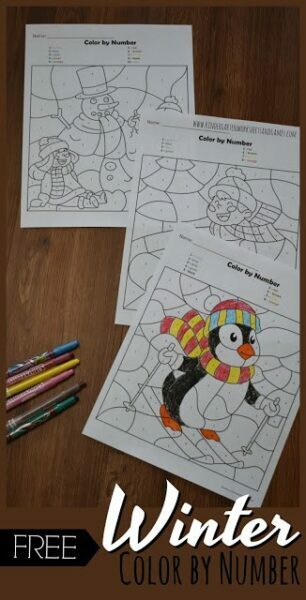 Provide coloring pencils or crayons, or paint, and allow creativity. They can add their own details to the picture too before cutting it to strips. How fun! 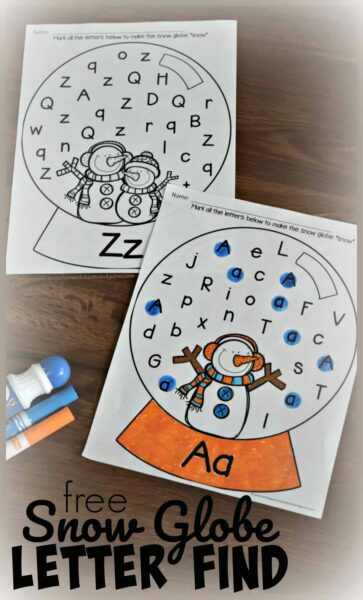 These snowman puzzles are perfect for a Winter unit. It also makes great busy bags- pop it into a bag and into the car and you have something to keep the kiddos busy in the car, waiting at an appointment etc. 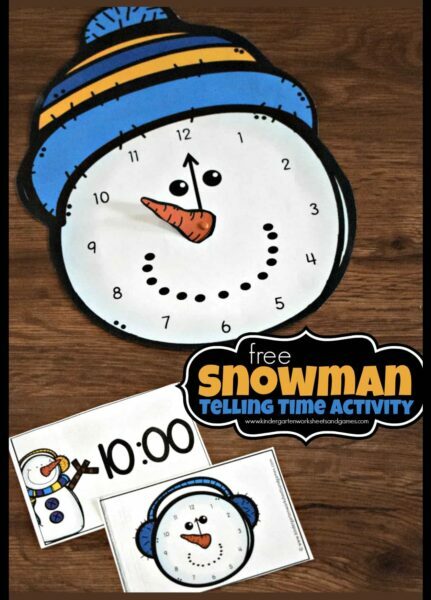 Enjoy building snowmen!